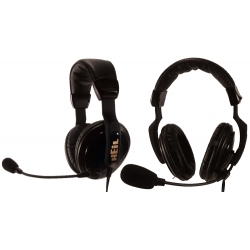 ProSet Elite with HC6 element offers dual side, full ear muff with high rejection of outside noise, speaker phase reversal, rugged attached mic boom, flexible to 6' coil cable and washable ear pad covers. The spekers are mounted in acoustically tuned chambers. Highly efficient 32 ohm drivers are used with their -3dB points at 10Hz and 22kHz, that can be driven with very low amplifier power. The two speakers are terminated in a stereo 1/8" male connector and provided with a stereo 1/4" adapter. 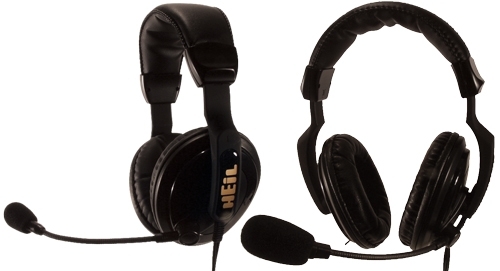 The mic has -3dB points fixed at 100 Hz and 12 kHz with a sensitivity of -57dB at 600 ohms output impedance. ICOM users should order the ProSet Elite iC. We do not stock these, but can special order them for you. Use AD-1 adapters, sold separately, to interface to various rigs.